Marathahalli, located in an eastern suburb of Namma Bengaluru is well-known for shopping malls and supermarkets around. Notably, the boom in IT segment and its closeness to the popular IT hubs such as Whitefield and Electronic City makes the place more populated. Besides, the Outer Ring Road that connects the workplaces of most of the people changed the face of Marathahalli streets. So, if you are staying in Marathahalli, you might have seen how jam-packed the roads will be particularly during peak hours. SharpDrives can help you in this aspect if you are planning to learn car driving in Marathalli. We have skilled drivers who can guide you to drive in every nook and corner of Marathahalli streets. Our primary objective is to make you an expert in this field and see you smile in confidence at the end of the day. We promise to provide you all the essential training practices right from scratch. SharpDrives helps you learn car driving in Marathalli with ease. Our only focus is to make you an expert driver and see you drive stress free on the busy streets of Bengaluru. We have a team of experts who provide all the essential training within your course period. You might have struggled to drive on the traffic-filled streets of Marathalli before but it will not be the case now! It is a promise from SharpDrives that you can drive confidently with a smile on your face by the end of your course. Book your session today to know the difference yourself. We offer car driving lessons in your own car at your own comfort. Hence you will be driving with perfection even after your course. Also, our team will guide you to drive in the challenging areas of the city. These lessons will help you drive safely in and around Marathalli like a professional and confident driver. Our courses come with an affordable price range that makes your every penny count. In case you have a shortage of time, you can opt for crash courses that cover all the necessary parts of car driving in a very less time. Hence you can save both your time and money by learning from Sharp Drives. Our courses include both theory as well as on-road lessons. Our experts train you on a 1 to 1 basis giving you a full one-hour lesson. 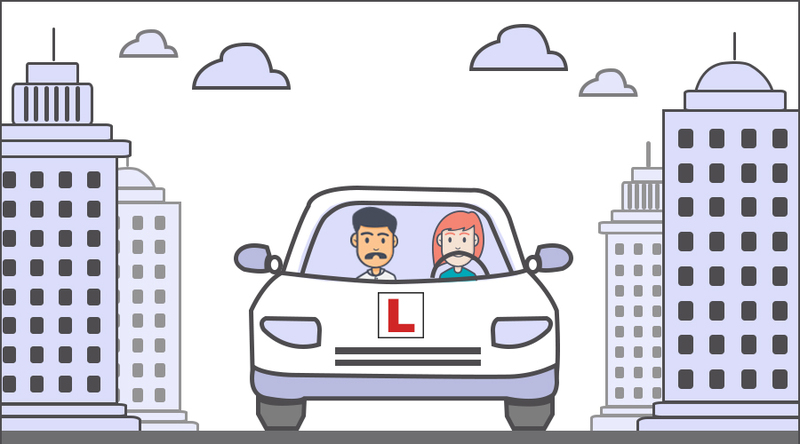 Be it a beginner or a person who wants to level-up your driving skills in the traffic-filled areas of Marathahalli; our instructors will offer the necessary training to help you become the best driver. Our instructors will be with you while you sit behind the wheel during the class hours. Hence you do not have to panic if you are still a novice driver. We make use of smart services in our training strategy to clearly understand and work on the areas of improvement. SharpDrives houses a team of experts who can teach both primary and advanced training techniques within ten days. You can save your money as well as time with our quick learning courses. Since the streets of Marathahalli is packed with vehicles during peak hours, early morning classes especially between 6 a.m. to 8 a.m. are always recommended for beginners to learn car driving smoothly. In this session, our instructors will also teach you how to drive in traffic areas. Thus, making you perfect in almost every area of Marathahalli. Also, based on your time convenience, you can make modifications in your training session with us. We will always stick by your schedule. Our classes will be open on both weekdays and as well as on weekends. Hence if you are an office going person, you can come to us on weekends anytime between 6 AM to 8 PM for car driving training. Since most of the companies are closed during these days, it will be the best time to learn driving on the streets of Marathahalli. Otherwise, you can choose any weekday based on your comfort. Now Driving is no more difficult in Marathahalli. SharpDrives will be with you in every step of the way.